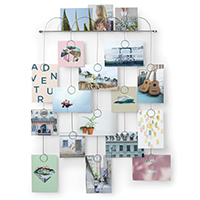 Our set of 2 stylish white wooden picture ledge shelves make a great addition to any room of the house allowing you to store and display your favourite family photos and artwork etc. 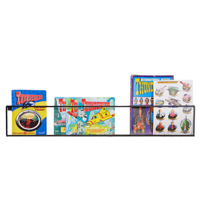 Change the look as you please with our floating shelves by moving pictures around without having to pepper your walls with holes. 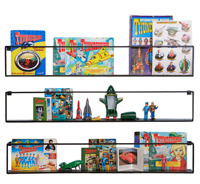 At 60cm wide, each shelf can accommodate 5-6 smaller frames and postcards or a couple of large ones.